Hiring a pro to address roof-related problems like loose shingles, leaks, damaged flashing and bad ventilation will ensure that your home is both warm and secure as colder weather hits. And if your roof is beyond repair, now is a good time to tackle a complete roof replacement. Dead branches and broken limbs can pose a hazard to your home all year long. But as the temperatures drop and winter storms blow in, they can become a real danger to your family and your property. Getting those trees pruned, trimmed and treated by a pro – before the seasons change – not only eliminates this threat, but it also helps to prevent unsightly debris from piling up in the future. What's more, it will ensure that backyard elm or weeping willow will be thriving once spring arrives. Home remodels can be a great investment, but they can also be invasive. Starting a major remodel while the weather is still mild will make it easier for your pros to do prep work and store their tools and materials outside and out of your way. And beginning a kitchen renovation before winter hits will allow you to use your grill and outdoor eating space while your indoor space is out of commission. Clogged gutters can cause ice dams, foundational damage and leaky ceilings. 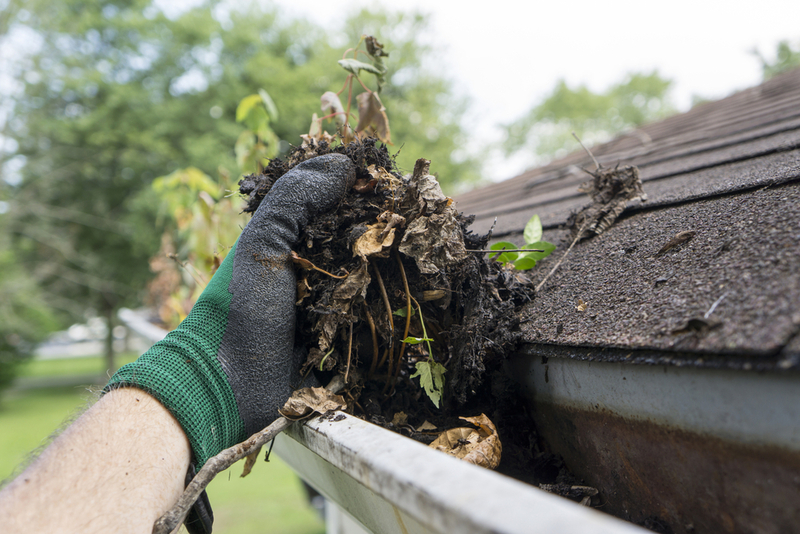 Fortunately, removing debris from your gutters is simple – and DIY-able. Lean a ladder against your home and clear away any sticks, leaves and other fragments. You can also use a leaf blower to quickly eliminate gutter gunk. Hire a pro if you notice any damage or don't have the time to tackle this project. Professionals will keep your gutters in good health and provide quick solutions to potential problems. September is an ideal time to prep your yard for chillier temperatures. Seeding, trimming perennials and planting bulbs, shrubs and trees can ensure your yard is healthy come spring. It's also a good idea to pack up furniture that could be affected by cold weather. Plastic and ceramics can become brittle and break in lower temperatures. Now is the perfect time to get that window replacement project underway. Replacing drafty, outdated windows with a more energy-efficient alternative will create a cozier, more comfortable home interior come fall. And the money you'll save on your utility bill will last well beyond the springtime thaw. A new driveway is an ideal way to spruce up the outside of your home. And pouring your new driveway while the weather's warm will allow it to dry before the freeze-thaw cycles of autumn and winter, resulting in a flaw-free surface. Between foot traffic and sun exposure, your deck can take a beating during the warmer months. This makes the end of summer a prime time to touch up any damage or deterioration. This is also a great time to install a porch or deck. In addition to better working weather, a late-summer installation will allow you to enjoy your new deck or porch during the cool fall weather – just in time for autumn cookouts and football watch parties!